The possibility of developing alcohol dependence should give pause to insomniacs who drink, particularly those prone to drinking right before bed. It’s better to abstain within three hours of turning in. That said, I’ve spoken and corresponded with quite a few people who say an occasional drink or two before bedtime gives them a good night’s sleep. Here’s a look at the effects of alcohol on the brain and differences in how people respond to it. Why does alcohol make people sleepy? Not a great deal is known about how and where alcohol acts to promote sleep. At least three key substances are involved. GABA is the main inhibitory neurotransmitter in the central nervous system, crucial to shutting the brain down at night. When GABA neurons are firing, the lights in the rest of the brain go out. 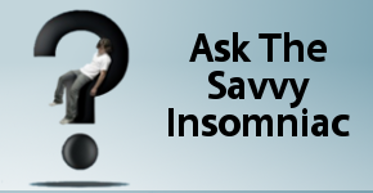 Popular sleeping pills like Ambien and Lunesta work by enhancing the action of the GABA system. Studies have shown that alcohol does, too, especially at low doses. Glutamate is the main excitatory neurotransmitter in the brain, responsible for keeping us awake and alert. Studies have shown that alcohol interferes with activity at a particular glutamate receptor. This, too, would have a calming effect on the brain. Adenosine is a substance that affects the signalling of neurotransmitters like GABA and glutamate. In a recent study of alcohol’s effects on rats, alcohol increased the amount of adenosine available in an area of the brain important to sleep and waking. This inhibited the firing of orexin neurons, which are normally active during periods of wakefulness. The sleep-wake system in humans is very similar to that of rats. So the increased levels of adenosine that occur with alcohol use would tend to promote sleep. experiences disrupted sleep in the second half of the night, characterized by prolonged periods of dreaming, light sleep, and wakefulness. 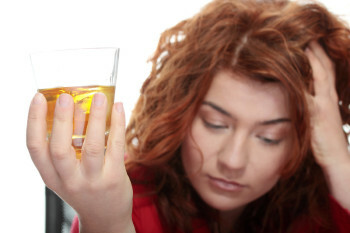 Tolerance to alcohol’s sedative effects develops within three nights. The only way to continue getting the same effects is to increase the amount of alcohol consumed. may not experience disrupted sleep in the second half of the night. No wonder we head for the Chardonnay when the going and the sleeping get tough. Alcohol tends to improve our sleep at first. But insomniacs, too, habituate in less than a week. Just like normal sleepers, we have to drink more and more to keep getting the same effect and we risk developing alcohol dependence. Also, regular use of alcohol for sleep eventually degrades sleep quality and worsens insomnia. So if you’ve got persistent sleep problems and you like to drink, use alcohol in the same way you would any other drug with serious side effects: with caution. How does drinking at night affect your sleep? 1) David Armstrong and Alex Dregan, “A Population-Based Investigation into the Self-Reported Reasons for Sleep Problems, PLoS One 9 (2014). 2) C.D. 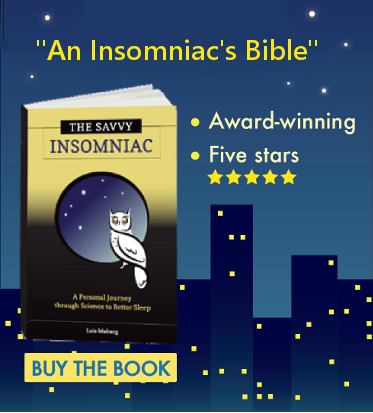 Jefferson et al., “Sleep Hygiene Practices in a Population-Based Sample of Insomniacs,” Sleep 28 (2005): 611-5. 3) R.M. Crum et al., “Sleep Disturbance and Risk for Alcohol-Related Problems,” American Journal of Psychiatry 161 (2004): 1197-203. 4) Timothy Roehrs and Thomas Roth, “Sleep, Sleepiness, and Alcohol Use,” National Institute on Alcohol Abuse and Alcoholism. 5) R. Sharma, P. Sahota, and M.M. Thakkar, “Role of Adenosine and the Orexinergic Perifornical Hypothalamus in Sleep-Promoting Effects of Ethanol,” Sleep 37 (2014): 525-33.